As a stay at home mom to two very young kids, I bank a lot on online shopping! As a full time fitness enthusiast who runs, does yoga and now even runs a fitness website – I am always on the lookout for great clean food and natural health supplements. I feel pride in stocking my kitchen with the very best yet natural products available in the market and deliberate a lot over the choices I make on the food I eat. My learning is – whenever you see the words – FAT-Free or LOW-fat, think of the Chemicals and foods that are heavily processed, unhealthy those that destroy the soul. I have been ordering a lot from GoNutrio.com – a Natural Health and Wellness portal! It sells health & wellness foods, natural baby products, herbal/ natural beauty products, organic grains, foods & oils and herbal supplements (natural and healthy)! Brands of pure repute on GoNutrio – This is what makes me order from them without wasting time on credibility or authenticity of the product. They have competitive pricing offering value for money. The range of health products, supplements and information is pretty impressive. Working your way around is relatively simple, and the site is not at all text heavy. They run good discounts too. Right now they are running 15% discount + 10% cashback. https://www.gonutrio.com/fitness – This is what I visit the most on GoNutrio. 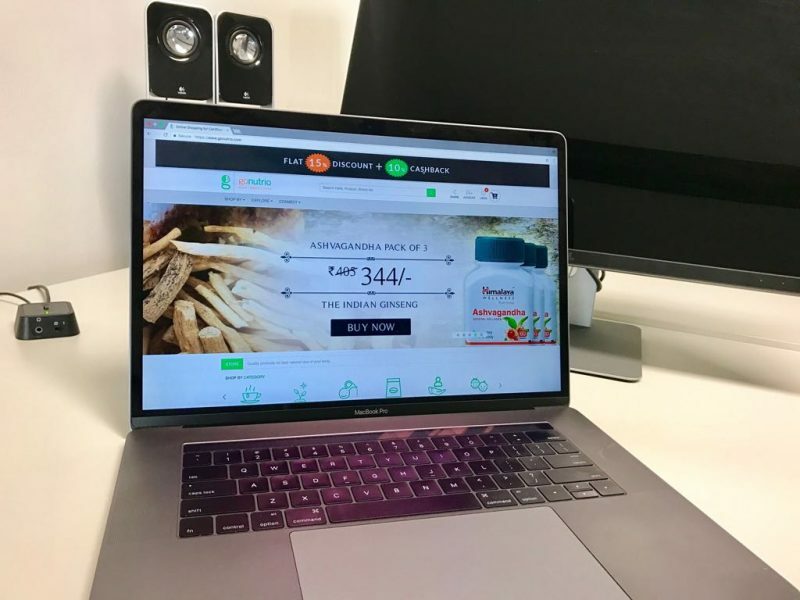 Pretty impressive that GoNutio has a separate page catering to the health and wellness needs of runners, cyclists, gymers and for every fitness enthusiast in general who is looking for some special foods to be included in his/her daily diet! However, the key word here is NATURAL – that this page has it all from the NATURAL Health Products standpoint! Healthy Bars and Snacks – I kick my metabolism everyday with either morning runs or yoga. It is natural for me to feel hungry at various points through the day. And this is where I make the difference and stand aware about the effect of my food choices – Stocking my kitchen with good calories and good fats! I perpetually order the Brown Rice snacks, nutritional bars made from Oats, Buckwheat, Amaranth sometimes mixed with chocolate, sometimes with honey. They have a hugely dependable range of cookies too – making excellent second tiffin options for my kids. Whatever they are – they are 1000 times better than the white flour, sugar dunked biscuits being sold off the shelf. Injury Related Natural Pain Healers – The Kairali and Ancient Living range of pain relief oils is an absolute must for full and ultra marathoners. Long distance cyclists would benefit from the Joint Pain relievers. Superfoods – I particularly go buy the Go Nutrio Super Food Bundle – 4 packets of 4 different superfoods! Lately, I have been gifting this particular pack to my health freak friends! I love it and will continue to send these! Refueling Endurance Boosters – Again all natural supplements from brands like Unived, Organic India and Dark Forest. These are some of my finds! I am impressed with the category EXPLORE – the drop down menu has a section on ORGANS – 20 organs of the human body explained alongwith the Diseases and Conditions related to that organ and the kind of herbs available for those diseases. If you want expert help – click on the ASK A DOCTOR/EXPERT and if you are the curious types than you could also click on BLOG/ARTICLES and read about what people have written. This is amazing work – 20 organs!!!! – each with its own diseases and conditions, herbs for each condition, a doctor/expert to talk to and stuff to tickle the grey cells. Lot of research and thought has gone behind making GoNutrio keep its promise of being a true wellness portal. The SHOP category also helps visitors to find health products by benefits – on the basis of 36 health concerns. This is a great time saver for anyone navigating the site for a particular issue. It is extremely reassuring to be depending upon a portal who is constantly looking at health and wellness from every possible angle! What am I still missing in the portal – Various Lifestyle diets! I wish and hope that the experts on GoNutrio discussed and put up the various kinds of diets – like Vegan, ketosis, Paleo etc on the portal. A lot of people out there are looking at getting educated about what these diets are and how can they bring big lifestyle changes. An Interesting Fact – GoNutrio.com is headed and run by the ultra- Marathoner and Comrades Finisher – Mohit Chobey. VERDICT: GoNutrio is a reliable Natural health Products Portal. Not just selling products. – but doing so with a soul to it. I liked navigating the page, ordering my health food requisites, reading its blogs and generally loved the whole look and feel of it. I have been ordering from the GoNutrio website for over two months now. It’s been a hassle free experience. Definitely not overcrowded with products – only the best brands have been stocked with an effort to make them affordable. This is a paid review. I am a regular user and consumer of the products sold by GoNutrio. I associate myself with only those brands that I use and are reputed sellers. I do experiment a lot with products/brands and if they are worth it, I recommend them through my blog.